The Reciprocal Rights Card gives BMC members discounted rates in alpine huts. 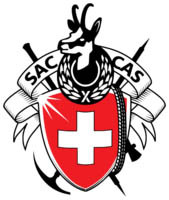 The Reciprocity Fund, managed by the Swiss Alpine Club, allows the BMC to supply its members with a card entitling the holder to discounts (normally between 20% and 50%) in the many huts owned by the organisations that are signatories to the agreement (the Alpine Clubs of France, Switzerland, Italy, Germany, Holland, South Tyrol, Austria and Spain). The Reciprocal Rights card is sometimes also recognised by organisations and countries that are not signatories to the charter. The BMC is only permitted to supply Reciprocal Rights cards to its members. Non members would need to join before purchasing this product. You should stick a recent passport sized photograph onto the Reciprocal Rights card where indicated and attach the Reciprocity sticker over the top. Once a Reciprocity card has been issued a refund, or replacement, cannot be issued. Even if the card has not been used or has been lost in the post. If you require your card urgently, we can despatch it by registered delivery for an additional charge of £6.95. Registered post guarantees delivery before 12:30 on the next working day, but a signature is required on delivery. Cards must be purchased by telephoning the BMC offices (0161 445 6111) if you require to this option.